I was craving chocolate again last night and stumbled upon a yummy, gluten-free, vegan recipe from twopeasandtheirpod.com. I changed it a bit to fit what we have in the house and this morning I tried my first solar cookie baking! 3/4 cup vegan chocolate chips. Cream bananas through vanilla. Stir in dry ingredients. Drop onto parchment lined trays and solar bake. Mine made 2 dozen and took about an hour. Rating: success. You need to be prepared for the taste of cookies without sugar though. Conventional folks might want to add some in. 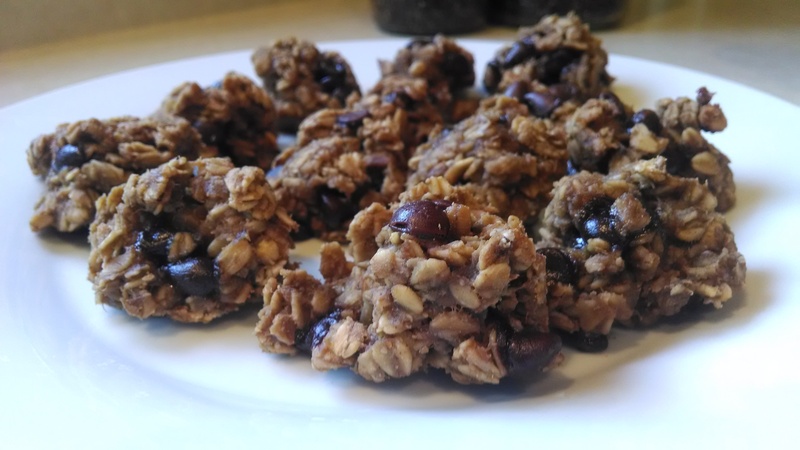 Otherwise these are gluten-free vegan yumminess!